Joel Muchmore is a partner in the San Francisco office of Crowell & Moring, where he is a member of the firm’s Litigation and Intellectual Property groups. Joel has substantial experience with appellate issues, as a trial attorney, and in litigating patent infringement, licensing disputes, trademark, trade secret, copyright, unfair competition, and other complex commercial disputes. Joel represents clients in multiple industries, including entertainment, high-tech, software, hardware, consumer goods, the arts, and retail. Joel is a trial and appellate lawyer who has represented clients in courts across the country. Joel’s clients have included software developers, life sciences companies, computer technology manufacturers, Grammy-award winning musicians, Fortune 500 consumer products companies, electronics retailers, and art galleries. A trusted counsel to a diverse array of companies across multiple industries, Joel works unusually hard to understand the complex machinations of the businesses he represents in order to deliver the highest caliber and most passionate legal representation. In his appellate practice, Joel has represented clients with regard to writs and appeals on a wide array of issues, including complex constitutional and procedural questions, and has successfully obtained reversals of final orders, as well as successfully defended against appeals. Joel strives to develop cost-effective fee arrangements and strategies to successfully resolve disputes on behalf of his clients. Joel’s practice also includes representing licensees in major disputes with enterprise database licensors, including serving as counsel of record for Mars, Inc. against Oracle Corporation in the only publicly filed complaint against that software giant regarding its audit tactics and conduct. Joel is active in the Bar Association of San Francisco and the American Bar Association. In addition to his professional legal activities, Joel is a committed mentor to young associates and a supporter of law school moot court programs. During law school, Joel was a member of the Hastings Academic Support Program as a Discussion Group Leader (Contracts and Criminal law), as well as a moot court coach. In his spare time, Joel enjoys spending time with his family, long-distance running, writing fiction and non-fiction, and playing music in local San Francisco bands. Louise Shivaya v. H.O.E.M., et al. (Superior Court of the State of California, County of Marin, 2016.) Served as counsel of record for founder and frontman for two-time Grammy award winning rock band Supertramp in privacy and breach of contract dispute. Mars, Incorporated, et al. v. Oracle Corporation, et al. (Superior Court of the State of California, County of San Francisco, 2015.) Served as counsel of record for client Mars, Incorporated in software license and services agreement dispute against Oracle Corporation. Tranxition, Inc. v. Lenovo, Inc. (U.S. District Court, District of Oregon, 2014.) Served as counsel of record for client Tranxition, Inc. in patent infringement case involving software technology for migration of computer "personalities." Tranxition, Inc. v. Novell, Inc. (U.S. District Court, District of Oregon, 2014.) Served as counsel of record for client Tranxition, Inc. in patent infringement case involving software technology for migration of computer "personalities." Local.com Corporation v. Fry’s Electronics, Inc. (U.S. District Court, Central District of California, 2012.) Served as counsel of record for client Fry’s Electronics in defense of a patent infringement case involving an e-commerce technology. Caldera Pharmaceuticals, Inc. v. The Regents of the University of California, et al. (California Superior Court in San Francisco, 2012.) Served as counsel of record for client Caldera in resolution of claims brought against defendants for breach of contract and fraud in connection with a patent licensing agreement. A.P. Deauville, LLC v. Arion Perfume & Beauty, Inc. (U.S. District Court, Northern District of California, 2012.) Served as counsel of record for client Arion in Lanham Act and California Business and Professions Code Section 17200 matter. Edenhurst Gallery v. San Jose Museum of Art Association (California Superior Court in Santa Clara, 2012.) Served as counsel of record for client Edenhurst gallery in breach of contract matter. The Clorox Company, et al. v. Mavea , LLC (U.S. District Court, Northern District of California, 2013.) Counsel for Clorox in trademark infringement and unfair competition case. In re Plant Insulation Co. (U.S. Bankruptcy Court, Northern District of California, 2009.) Trial counsel for defendant insurer in plan confirmation trial, involving debtor with alleged asbestos-related liabilities of $2 billion and proceedings involving complex issues regarding channeling injunctions under 11 U.S.C. Sec. 524(g). Plant Insulation Company v. FFIC, et al. (California Superior Court in San Francisco, 2006.) Counsel of record for OneBeacon Insurance Company in multi-phased asbestos coverage matter, including phased trials on issues of “missing policies,” equitable defenses of waiver, judicial estoppel, and unclean hands, and various contract interpretation issues. Lead trial counsel for plaintiff in federal jury trial on behalf of a former prisoner who alleged violations of his civil rights by the Sheriff's Department of Contra Costa County. Recipient, 2014 Marc L. Fleischaker Pro Bono Award for Outstanding Contributions to the Public Interest, for work related to the protection and preservation of early 20th Century American art. 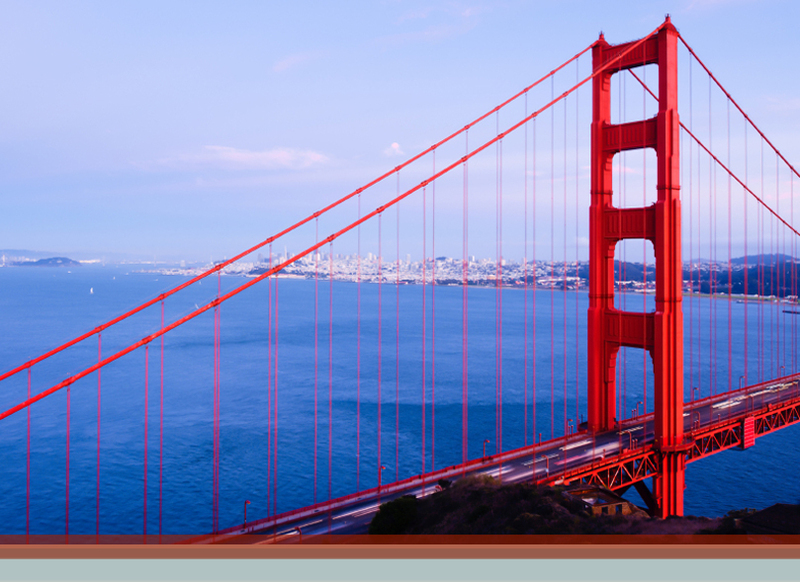 "Emerging Issues in e-Discovery: The Rock and the Hard Place, " CLE Presentation, Silicon Valley (January 2015). Co-Presenter: Joel T. Muchmore. "Protecting IP Content in the Face of New Entertainment Distribution Technologies – ABC, Inc. et al. v. Aereo, Inc.," CLE Seminar for In-House Counsel, Los Angeles, CA (January 10, 2013). Co-Presenter: Joel T. Muchmore. International Association of Trial Counsel’s 34th Annual Trial Academy, Stanford, CA (2005). Participant: Joel T. Muchmore. "Six Tips for Perfecting Your Contract Before a Dispute Arises," Available through Amazon.com and Execense.com (November 8, 2012). Co-Author: Joel T. Muchmore. "Patent Infringement Liability: What Is The 'Entire Market Value?'" Daily Journal (April 18, 2012). Co-Author: Joel T. Muchmore. "Insurance Insolvency: A Guide For The Perplexed," Insurance Litigation Reporter (September 2005). Co-Author: Joel T. Muchmore. "Law and Cyberspace Bibliography," Leonardo Online (March 2005). Co-Compiler: Joel T. Muchmore.